We already knew Dr. Ayalew Tefferi, certainly one of the eminences of international hematology, was not happy. 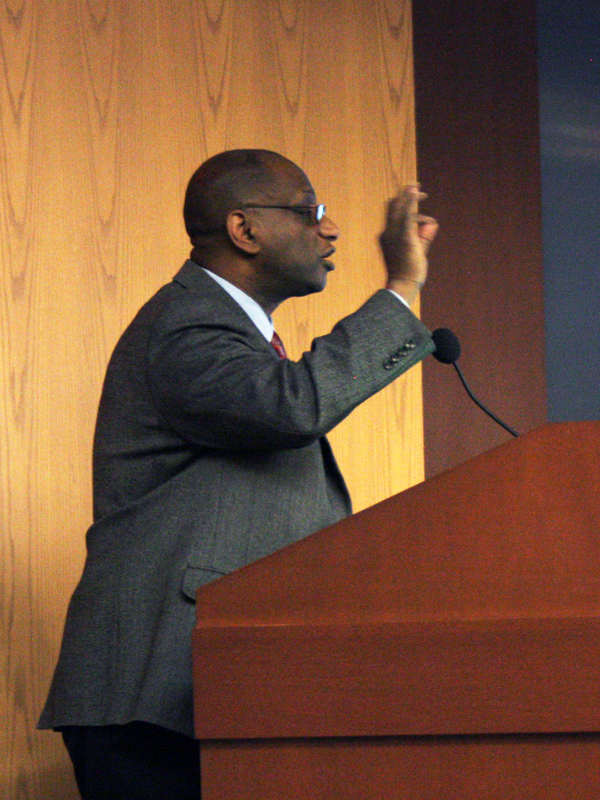 His objections, based on a small scale study of an informally acquired cohort of Mayo patients, were sufficiently serious for him to raise them publicly in the pages of perhaps the most prestigious medical journal on the planet. This week he left no doubt where he stands. In his study of 1000 Mayo Clinic myelofibrosis patients over a period 34 years, using DIPSS Plus,(Dynamic International Prognostic Scoring System for Primary Myelofibrosis) , he concludes Ruxolitinib (Jakafi) is the answer for only about 20% of primary myelofibrosis patients. 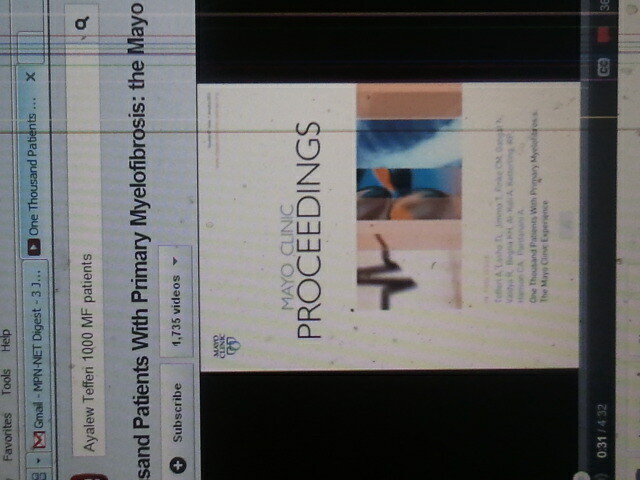 In addition to the full article, “One Thousand Patients with Primary Myelofibrosis: The Mayo Clinic Experience, ” published in the Proceedings of the Mayo Clinic (Jan, 2012) and available here, he released a supplemental video to drive home the point. That video can be seen on YouTube . Tefferi concludes his video with a barely disguised slam at the trials and subsequent promotion that have accompanied Incyte’s product development and introduction. Since his Mayo associate at Scottsdale, Ruben Mesa, was a co-principal investigator on Ruxolitinib, the vehemence of Tefferi’s presentation strongly suggests he feels the need to sound some alarms. Fast. Greetings. 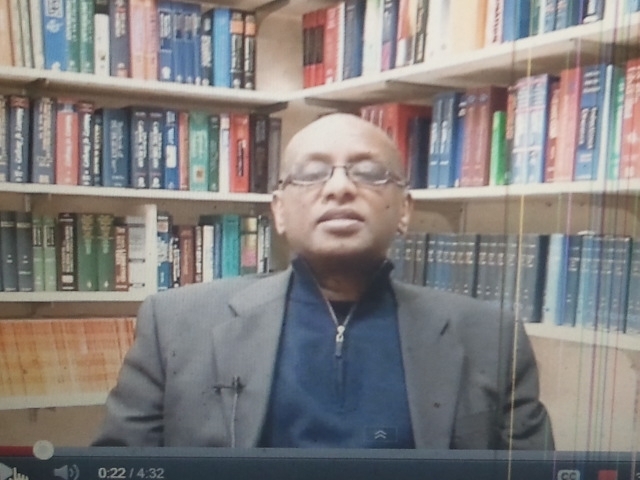 My name is Ayalew Tefferi and I am a professor of medicine and hematology at the Mayo Clinic in Rochester,Minnesota. And I’m here to highlight the key findings in a 1000 patient study in primary MF , a study that is scheduled to appear in the proceedings of the May Clinic Proceedings, issue of January 12. The second finding is the fact that the most recent revison of the international prognostic scoring system, the so-called DIPPS plus prognostic system, performed much better in discriminating between different risk groups and this is probably because DIPPS + includes cytogenic information in prognostic evaluation. The third key finding is the fact that many patients with primary myelofibrosis can live a very long life and in fact patients with low risk have an average survival that exceeds 15 years Also …In young patients, even if they are at intermediate risk disease they can can expect a median survival that approaches 15 years. On the other hand, DIPPS + allows us to identify patients in whom survival is shorter than five years and in whom allogenic stem transplantation is most suitable. 25% of the patients might require consideration of allogenic stem cell transplantation, earlier than later. In other words, the newly approved Ruxolitinib in patients with myelofibrosis is probably appropriate in no more than 20% of patients with this disease. Last and most important conclusion that can be made from our large study is the fact that one has to understand the natural history of a specif ic disease in order to justify a specific treatment recommendation and also in order to design a clinical trial with endpoints that are relevant to patients rather than drug companies. Articles:…Marty’s Stem Cell Transplant …..My Robert ….Sevy’s Ride … ..Manuela’s Journey……Drop the “D” …Crisis in MPN Care….Nearly Painless BMB….News Briefs . Columns: …The Empowered Patient ….The Long and Winding Road…..:..Jeremy’s MPN Life :… Body-Mind-Spirit and Prayer …. © Zhenya Senyak and MPNforum.com, 2011. Unauthorized use and/or duplication of this material without express and written permission from this blog’s author and/or owner is strictly prohibited. Excerpts and links may be used, provided that full and clear credit is given to Zhenya Senyak and MPNforum.com with appropriate and specific direction to the original content. I am seriously worried about my sister, who is strongly considering taking this rx. as the first patient her dr. has had to do so. If only 20% of patients would benefit from this drug, I sure hope she is in the 20%, She has no other alternative, as she is elderly. I would appreciate hearing from anyone who can venture any hope or experience!! Thank you much and God Bless.